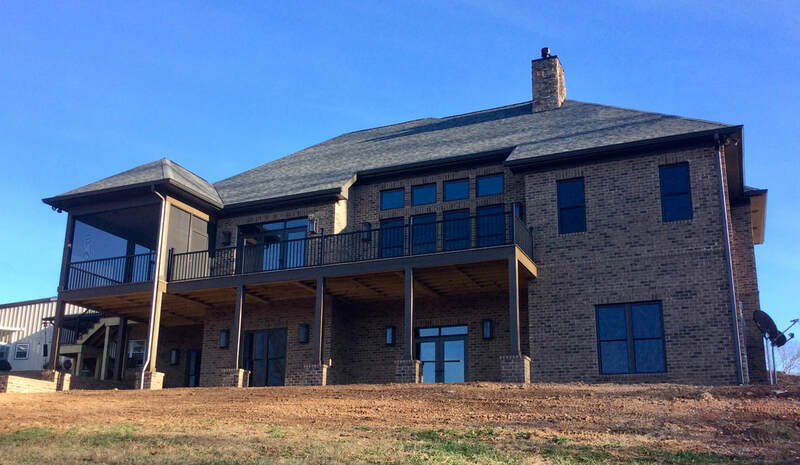 Elliott's Custom Builder - New Custom home almost completed. Make your dreams come true. let us build your own home. 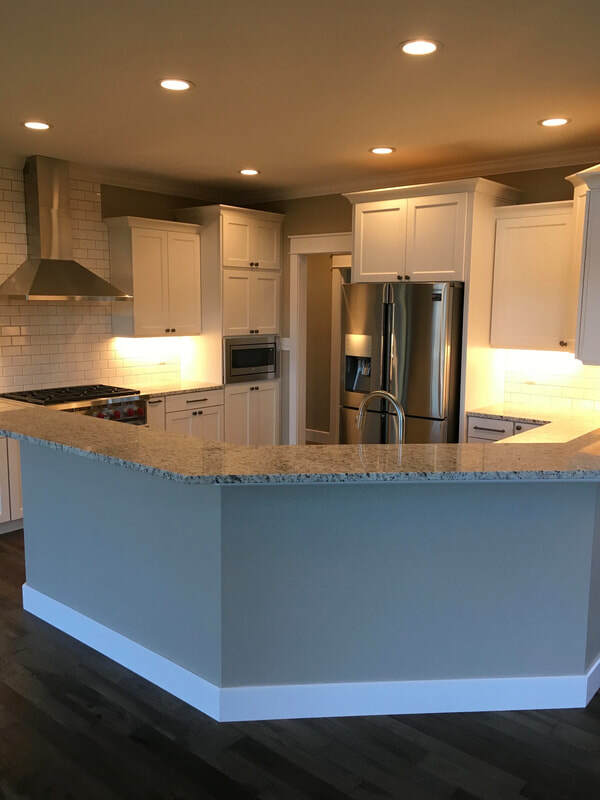 Give us a call or fill out our contact form below to talk to us about your new custom home, remodel or addition. 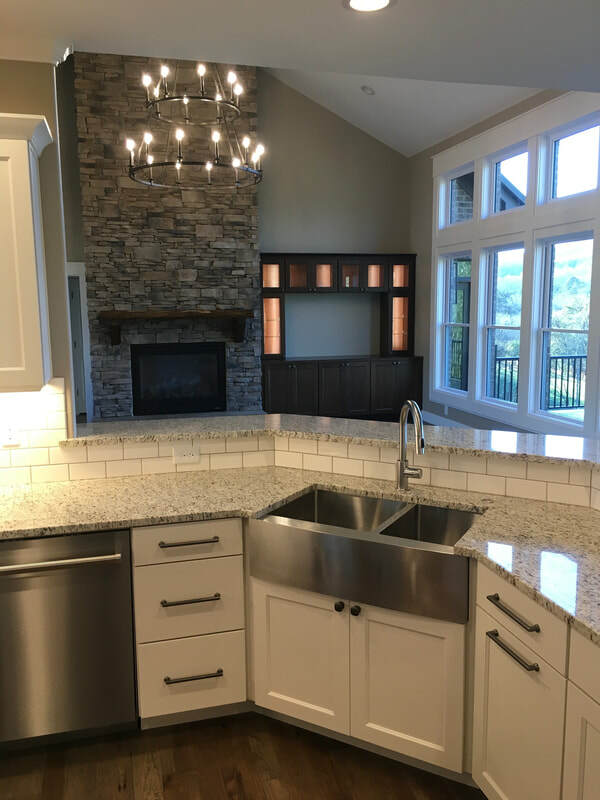 We strive for excellence in everything we do from our detailed estimates, to our excellent crew, to our subcontractors and quality suppliers. Under cabinet lighting makes food preparation easier on the eyes. Beautiful chimney hood makes a clean, elegant statement. Stainless steel sink becomes a focal point of the kitchen with the exposed front. 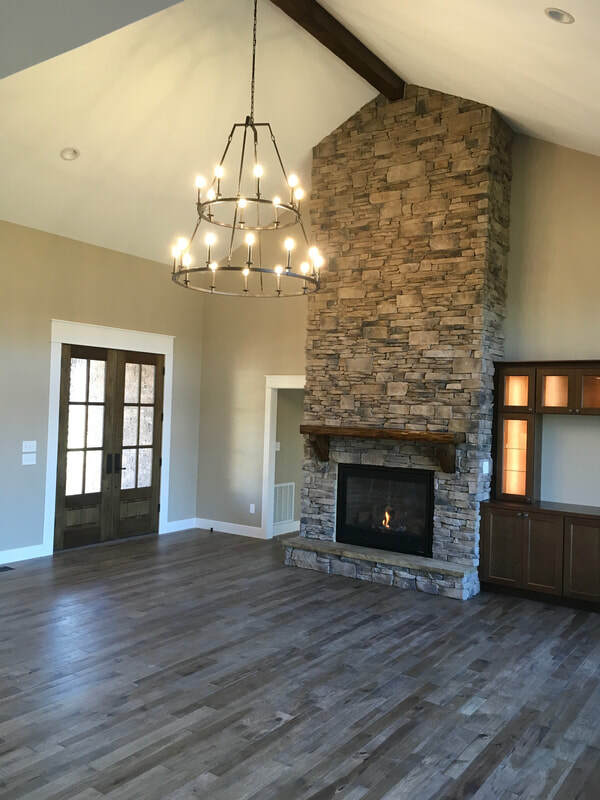 Front doors lead to family room with a stone fireplace. Hand hewn log mantel, and custom cabinets. Engineered wood throughout the home. 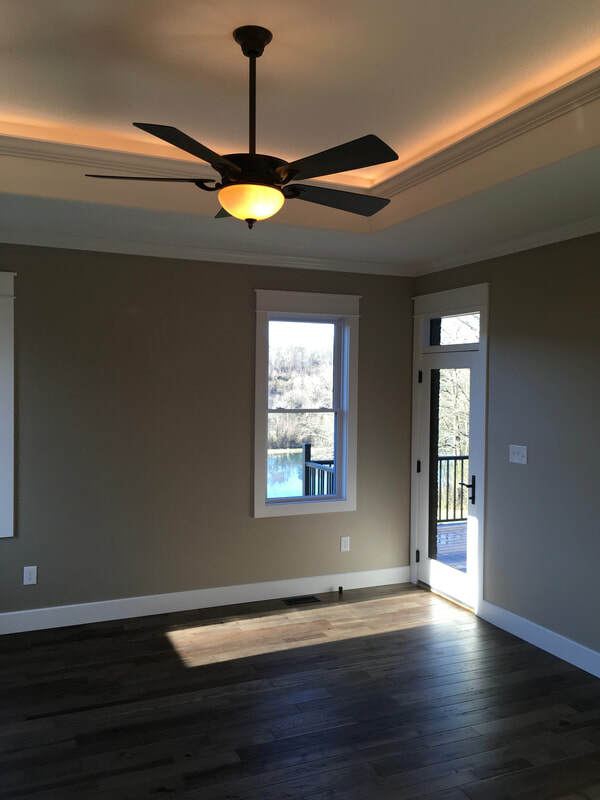 Master Bedroom with lighted tray ceiling and door to large back porch. 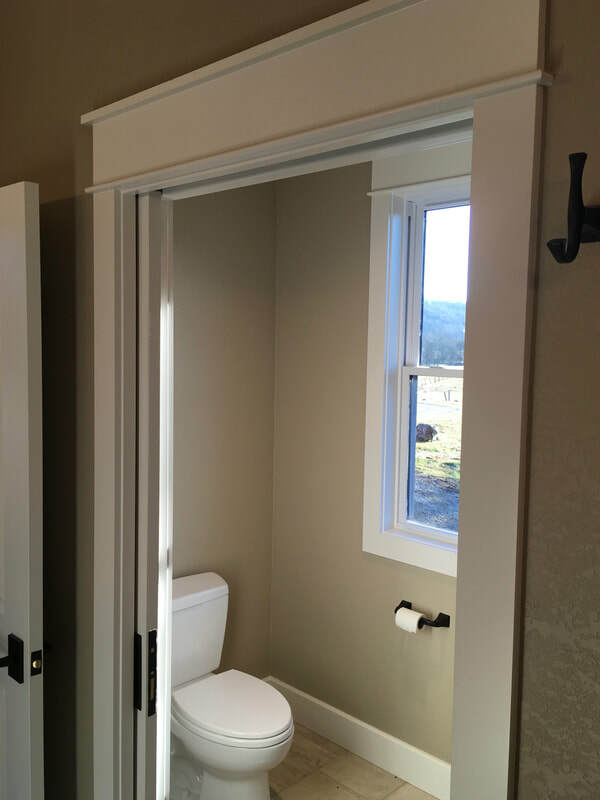 A pocket door is great for saving space and giving privacy. Tile floors in master bath and in closets. Custom trim throughout the home. This shower has five different spray jets for a spa-like experience. 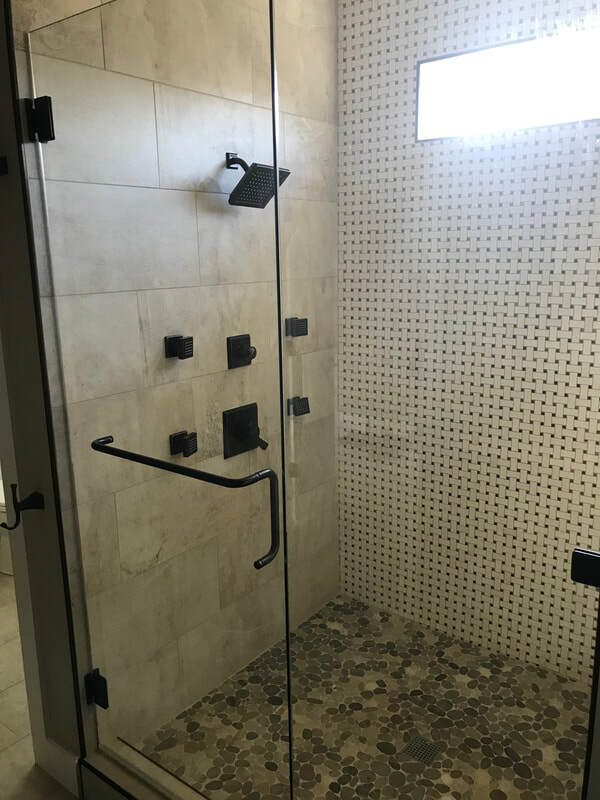 Custom tile makes this shower a showpiece.